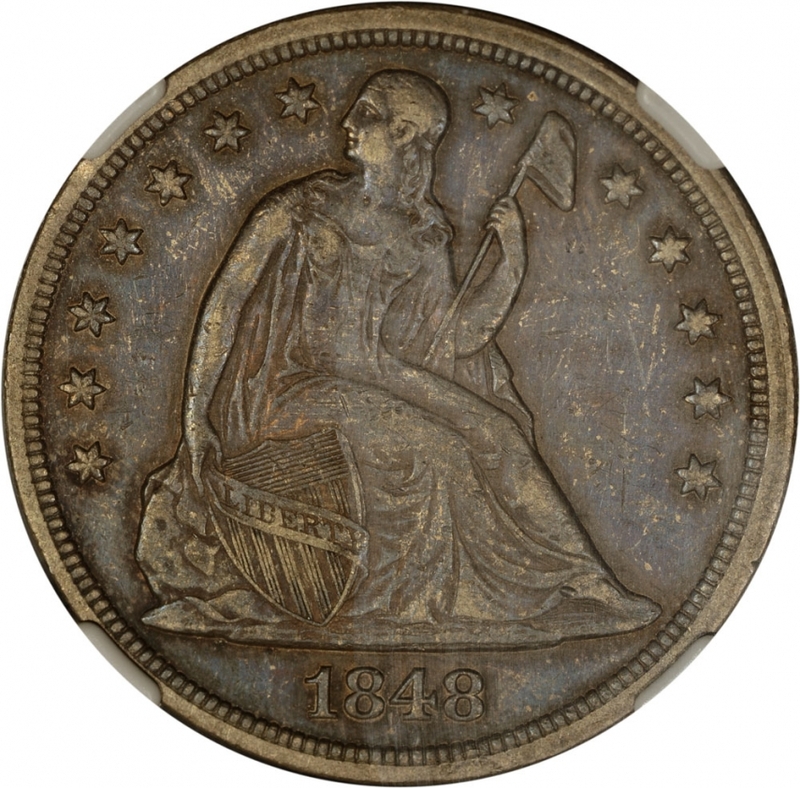 One of the tougher seated dollars to buy in the 1840's, this 1848 is a wholesome, original high grade coin. Graded AU55 by NGC (Cert. No. 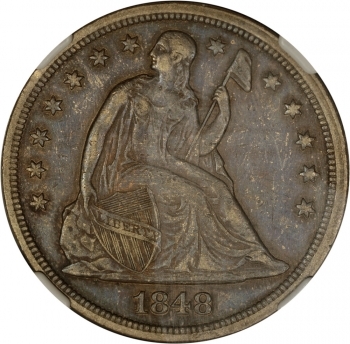 3809032-007), it is rather well struck, but with weakness at the stars right of Miss Liberty, exceptionally nice rims, no important marks, and deep variegated plum toning throughout both sides. A very "crusty" example, well-suited to most collections.